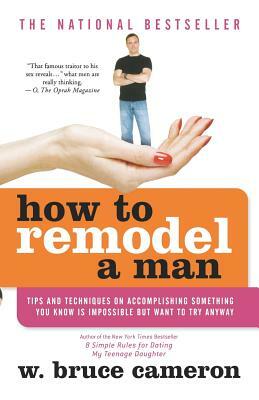 How to Remodel a Man offers concrete, step by step instructions for actually changing the character and behavior of men. Keen insight into the male of the species by one of its own, will for the first time shed light on such mysterious subjects as "Why can't men open a refrigerator and see the mayonnaise?" This ground-breaking book is a must-read for anyone who is related to a man in any fashion. No one had heard of W. BRUCE CAMERON, when he started his Internet-based humor column in 1995, but within a year he was the most widely distributed humorist on the World Wide Web. His column on raising teenagers inspired such a response he expanded it into the book 8 Simple Rules for Dating My Teenage Daughter. The book became a New York Times bestseller and the basis for the TV show 8 Simple Rules on ABC. He is currently working on turning How to Remodel A Man into a TV series. Now a nationally syndicated columnist, he lives in Santa Monica, California, with his teenage son.